Something to SAVE MY SKIN. The skin is the largest organ in the human body, a large percentage of which comprises collagen. However, do you know that collagen level starts to decrease from age 25 onwards at an annual rate of about 1.5%? In addition, our urban lifestyles can further contribute to skin aging and subject the skin to oxidative stress – UV radiation, stress, smoking, alcohol and pollution produce free radicals which damage the skin and results in destruction of collagen. Therefore, it is important to restore collagen to maintain skin suppleness and elasticity. 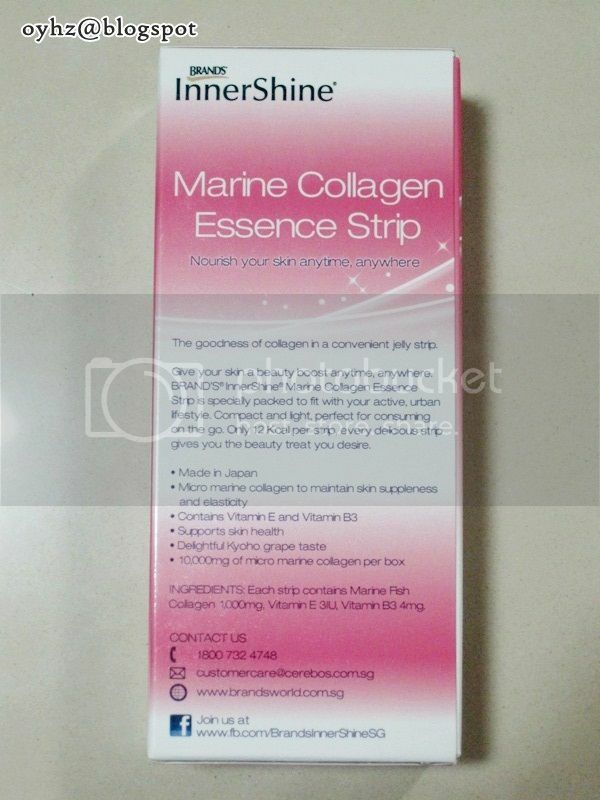 And here comes, Brand's InnerShine Marine Collagen Essence Strip! 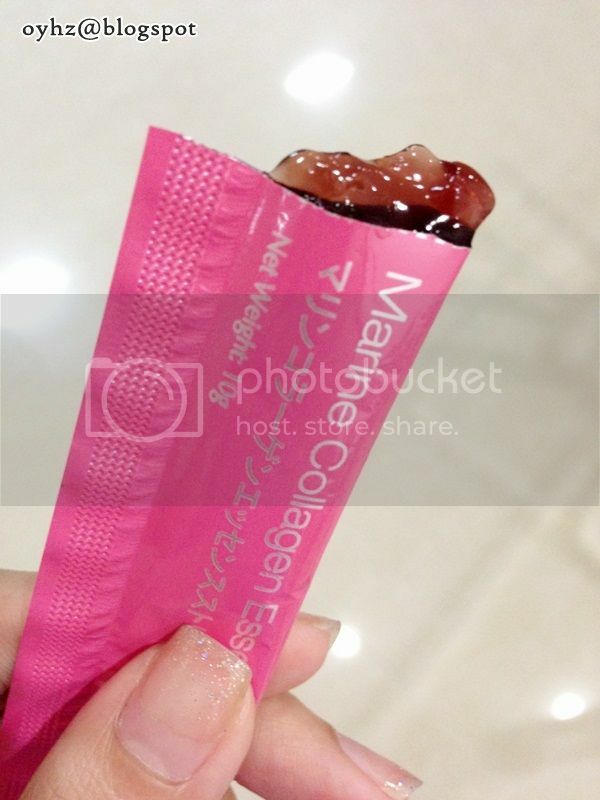 The goodness of collagen in a convenient jelly strip. Give your skin a beauty boost anytime, anywhere. 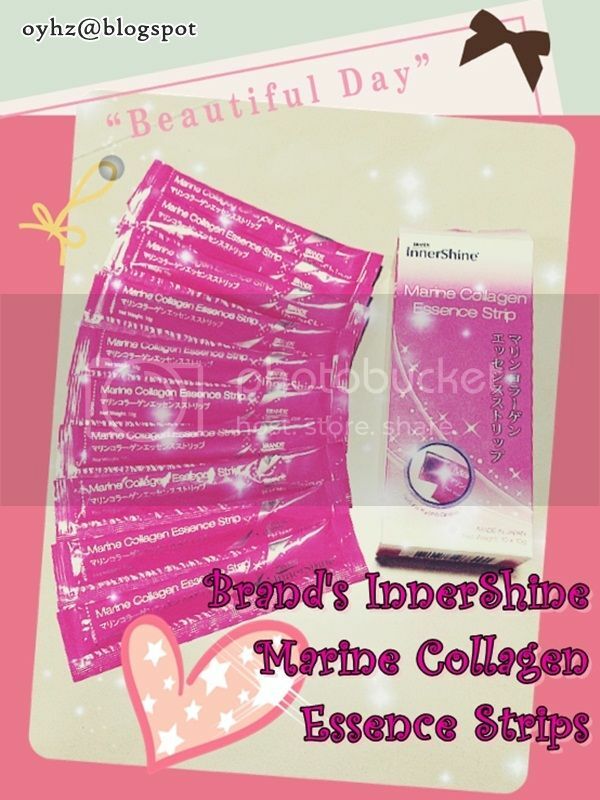 Brand's InnerShine Marine Collagen Essence Strip is specially packed to fit with your active, urban lifestyle. Compact and light, perfect for consuming on-the-go. 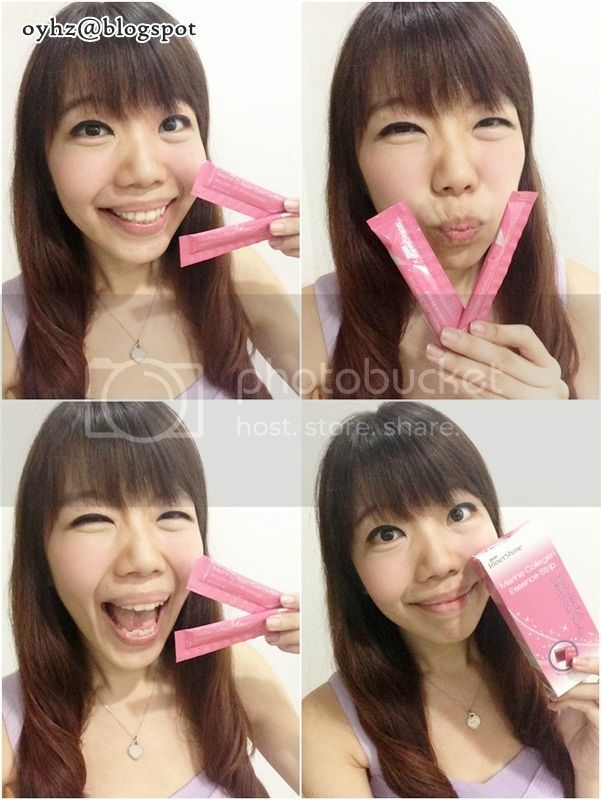 Only 12 Kcal per strip, every delicious strip gives you the beauty treat you desire. Collagen is responsible for the structural support and elasticity of the skin. The collagen used is derived from deep sea fish, with a low molecular weight of 3,000 dalton to aid in faster absorption. An indispensable antioxidant for skin health, it protects the skin from photo aging effects, the prolonged or excessive UV radiation that accelerates the formation of wrinkles and age spots. It supports the health of the skin tissues by providing our cells with the energy necessary for growth and repair. Recommended Dosage: Take 1-3 strips daily. This product should be consumed straight after opening. It is best taken once in the morning and once in the evening. This gives your body an initial boost of nutrients to start the day, and the necessary building blocks for optimal skin renewal as you sleep! 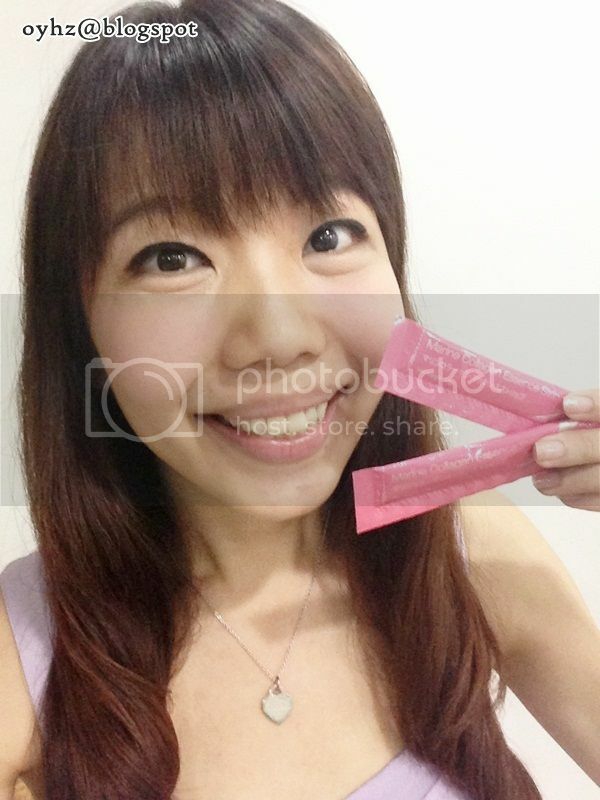 I've tried several other collagen powder mix, bottled drinks etc before. Some may taste fishy, OVERLY sour to mask the fishy taste or just too gooey for my liking. But this jelly is so yummy! It tastes exactly like the old school kinda jelly I like! 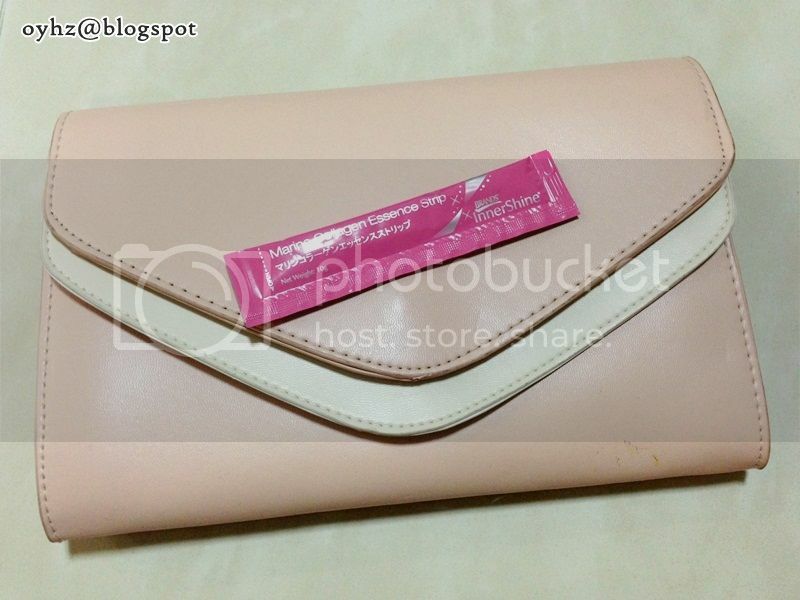 The jelly also comes out fully from the packaging without much efforts so that none of the collagen would be wasted. Effect-wise, we would probably only see it in the long run. 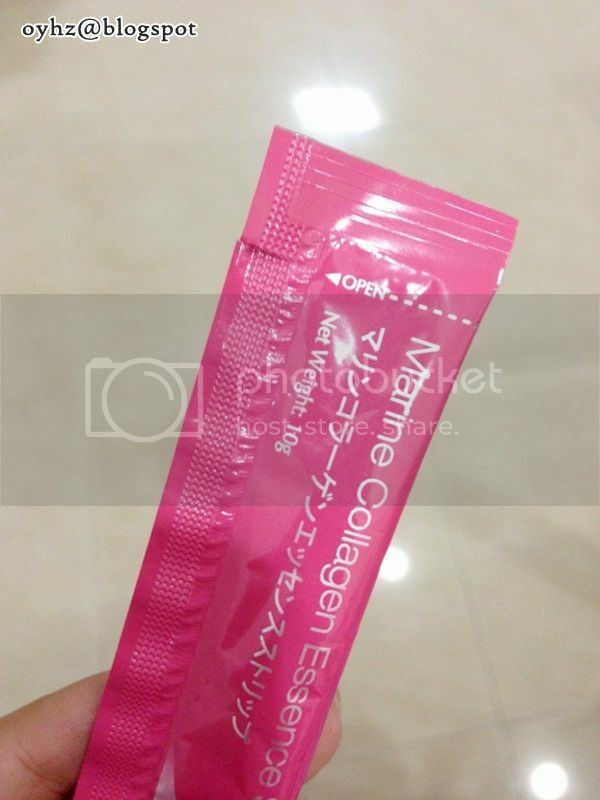 But so long as the marine collagen strips taste so yummy, I wouldn't mind eating it forever & ever! lol. 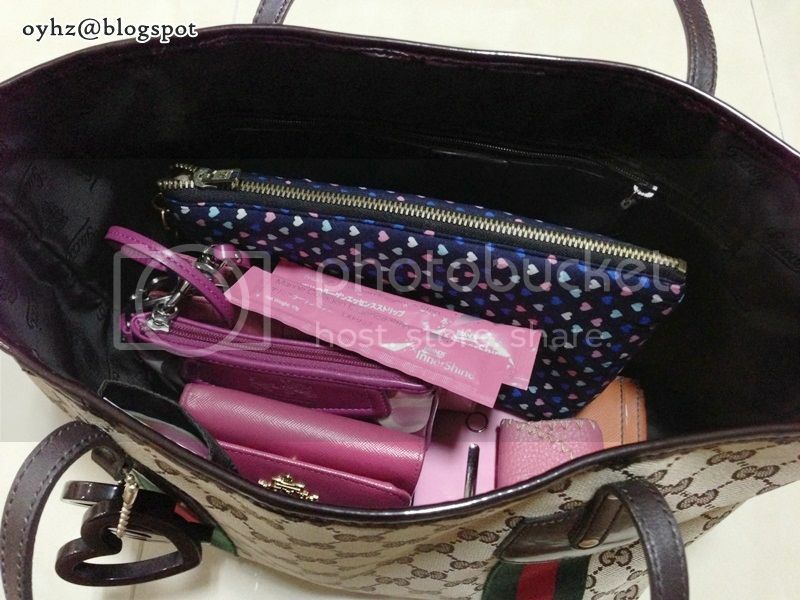 Also, if you're often on-the-go like me, these strips are specifically designed for ladies like us! Totally matches my pink items. 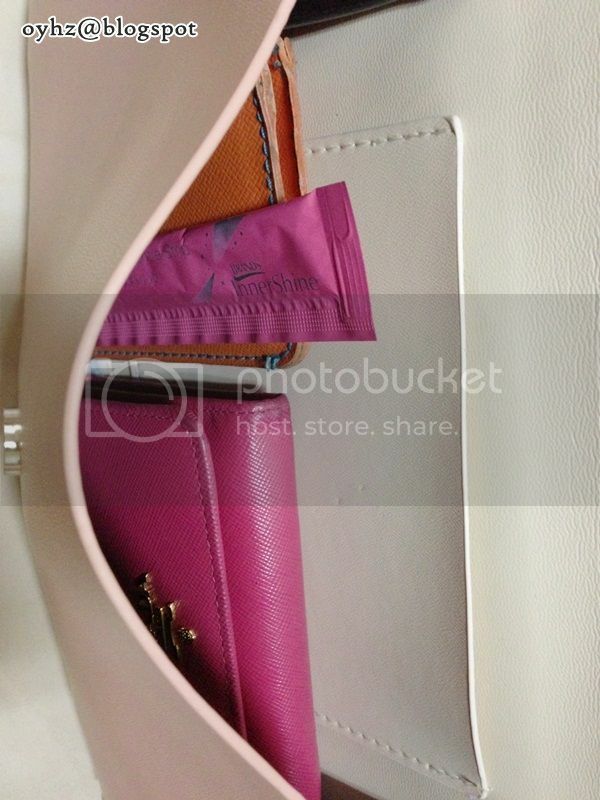 For partying on weekends, slip a strip into your clutch and let it give you a boost right before the party! 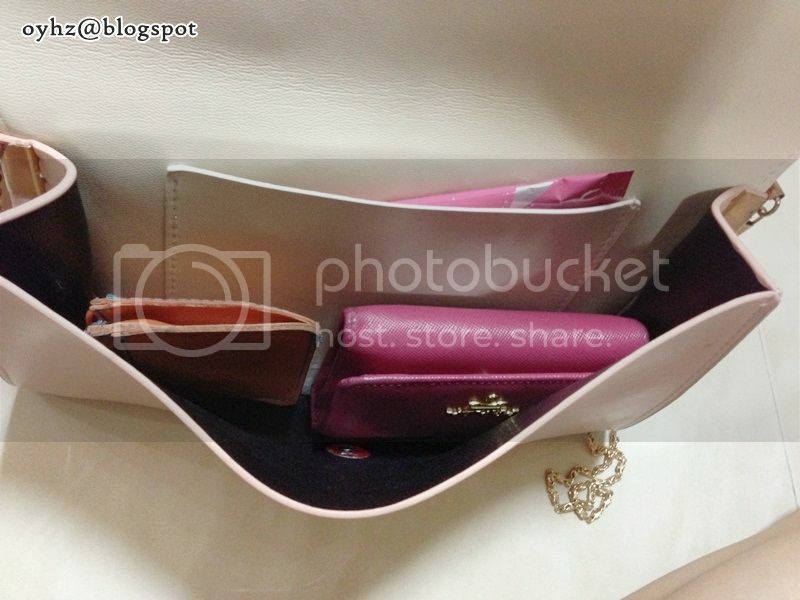 Fits both horizontally and vertically! 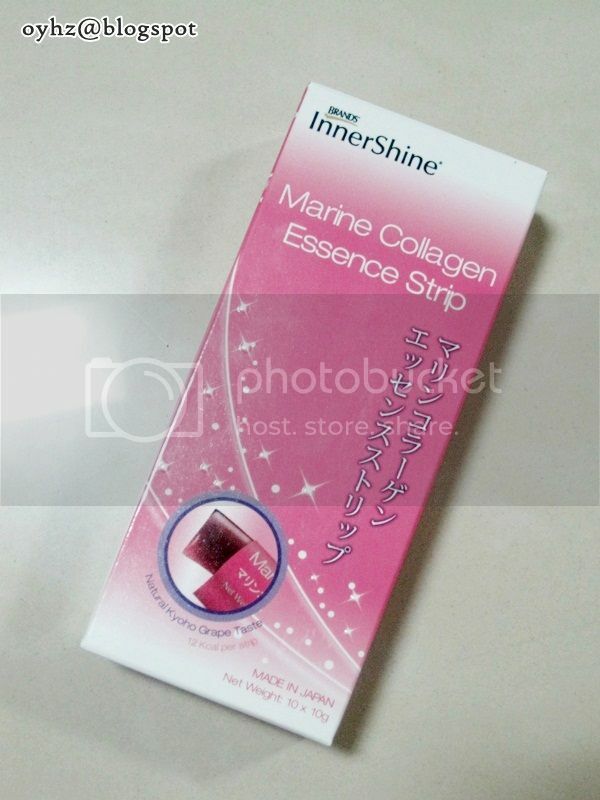 The Brand's InnerShine Marine Collagen Essence Strips are available exclusively in all Watsons outlets islandwide at $30 per box (10 strips). 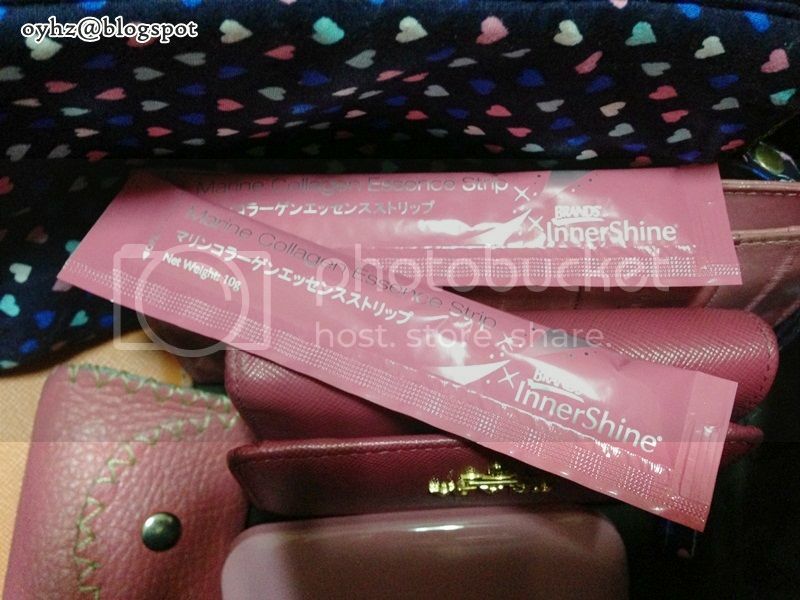 Visit Brand's InnerShine website for more details, updates and fun contests & giveaways. Pure marine collagen is a structural protein that supports the tendons and the resilient sheets that keep the skin and internal organs together.